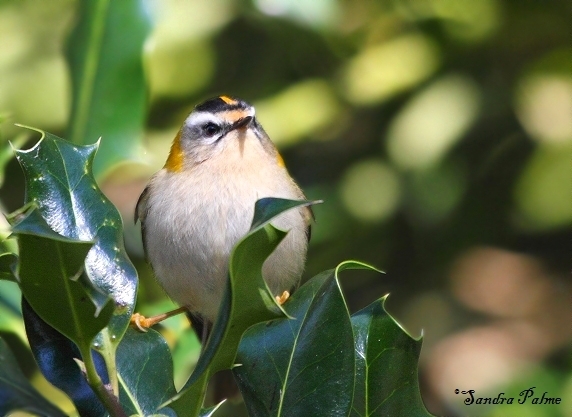 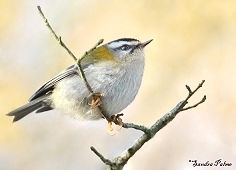 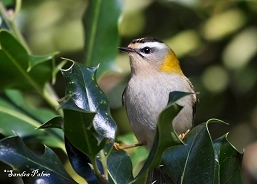 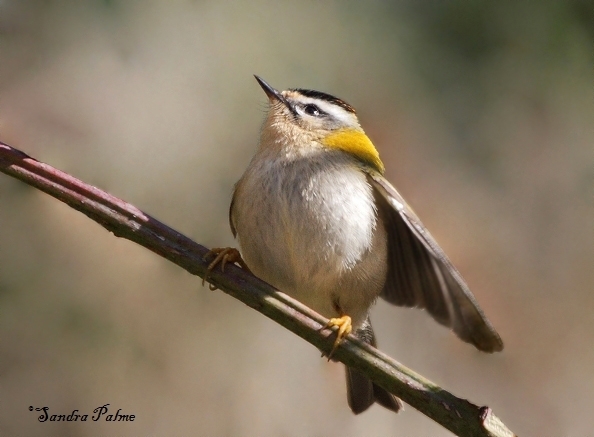 The Firecrest is one of the smallest birds in Europe (only the closely related Goldcrest is slightly smaller). 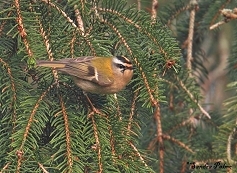 They're always on the move, flitting around trees and shrubs in search of insects. Despite their small size, they are bold and not afraid of humans. 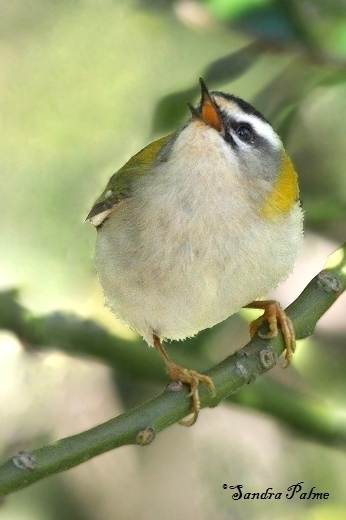 Males will defend their territory by singing loudly (they have a surprisingly loud voice!) 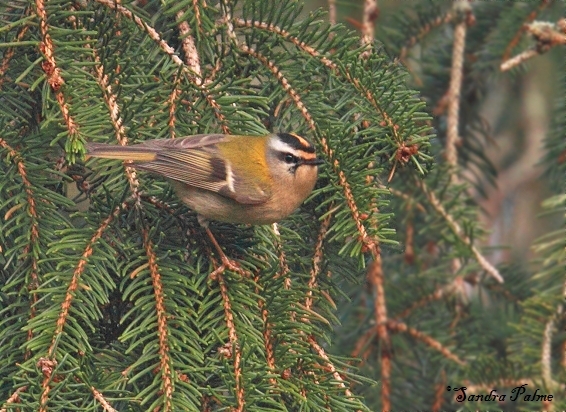 and by flashing their beautiful bright orange crest. 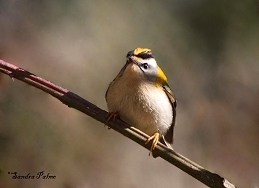 Fantastic little birds! 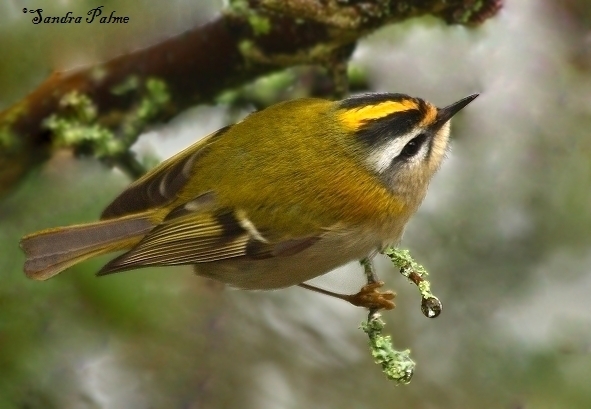 Please click on the thumbnails for a larger version of my favourite fFirecrest shots.